I prefer my milk straight from the cow. When I was a child a local dairy farmer delivered fresh milk to us in a bucket. He poured the milk into bowl and when it had settled Mum would spoon the cream off the top and pour it into bottles. I can still remember the taste…a far cry from the stuff we buy at the supermarket now. It is pasteurised, homogenised, skimmed, vitamins added etc, etc, and it no longer tastes like milk. 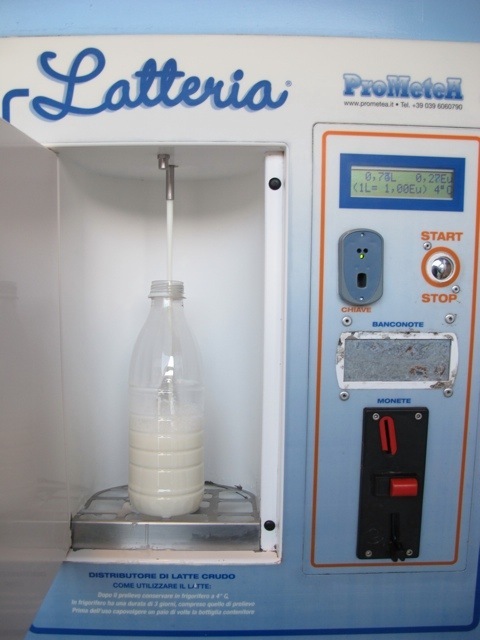 Luckily there is a place nearby where it is possible to buy milk straight from the dairy…the mechanical cow, or latteria as it is called. The little hut is in the car park at the Penny Market in Borgo a Mozzano. 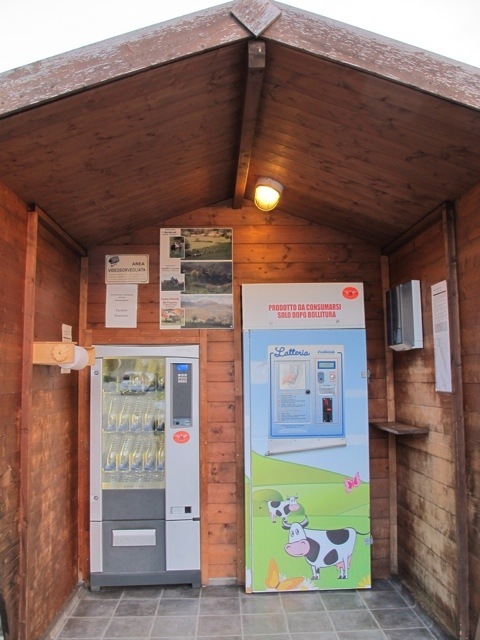 For 20 cents you can buy a bottle and €1 gets you a litre of fresh milk. 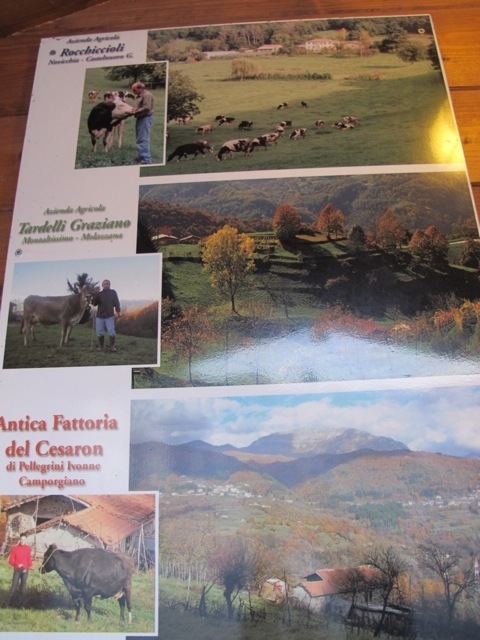 There is even a photo of the dairies the milk comes from. I think it is a great idea and I have become a regular at the mechanical cow.